Narendra Modi is a paradoxical man. He says one thing and does another. He gives voice to a number of liberal ideas (such as the constitution being his holy book and sab ka saath, sab ka vikas), while at the same time pandering to some of the most illiberal elements in Indian society, on whom he depends for political support. Paradox is how a Prime Minister who prides himself on effective governance has, through his silence, appeared to condone the worst aspects of misgovernance communal riots, lynching’s, the violence of gau-rakshaks and so on. A third paradox is his talk of soaring ambitions for the country when his government’s performance is underwhelming. So who is the real Narendra Modi ? A noble, selfless leader who acts effectively in the interests of all his countrymen or an autocratic, right-wing bigot who is interested only in power and converting plural India into a Hindu Rashtra ? Or something in between? This brilliant study of Modi and the effect he has had on our country answers these and other questions about a leader who is reviled and worshipped in equal measure. The book is divided into five sections comprising fifty chapters. The first section takes a close look at Modi’s life and times. The other four sections look at key aspects of the way in which Modi’s government functions and the lasting and often deleterious impact it has had on Indian society, major institutions, the economy, foreign policy and our fundamental values. Using years of close observation, personal encounters with Modi, considerable scholarship, a deep understanding of Indian politics and an insider’s view of the way in which government functions. 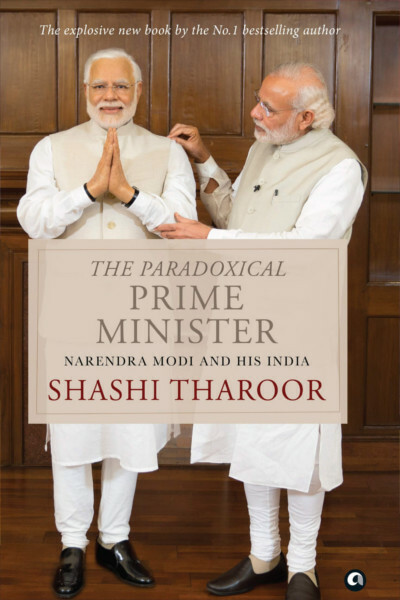 Shashi Tharoor has stitched together a compelling portrait of this paradoxical figure. Never before has there been such a superbly written and devastatingly accurate account of the most controversial prime minister India has ever had. Shashi Tharoor is the bestselling author of seventeen previous books, both fiction and non-fiction, besides being a noted critic and columnist. His books include the path-breaking satire The Great Indian Novel (1989), the classic India: From Midnight to the Millennium (1997) and the No. 1 bestsellers, An Era of Darkness: The British Empire in India (2016), for which he won a Ramnath Goenka Award and Why I Am a Hindu (2018). He has won numerous literary awards for his work, including a Commonwealth Writers’ Prize. Tharoor was a former Under Secretary-General of the United Nations and a former Minister of State for Human Resource Development and Minister of State for External Affairs in the Government of India. He is a two-time member of the Lok Sabha from Thiruvananthapuram and chairs Parliament’s External Affairs committee. He was honored with the Pravasi Bharatiya Samman, India’s highest award for overseas Indians, in 2004 and was chosen New Age Politician of the Year by NDTV in 2010.